When you notice a chip or a crack on your car window, you do not always have the time to stop and have it repaired. However, postponing repair could end up costing your more as chips are bound to spread into large cracks. Once this happens, a windshield replacement is called for. Well, mobile auto glass repair and replacement services provide numerous benefits to those who do not seem to have the time to visit their auto repair specialist. If you’re like most people, you probably spend a chunk of your time in the car rushing to work, running errands, taking your kids to and from school and more. It seems as if you just don’t have the time to take your vehicle for windshield repair. Well, that small chip or crack can easily spread into a large one. All it takes is a slamming door, a rough road or a change in temperature to turn that chip into a huge crack. When this happens, the glass cannot be repaired and calls for replacement. 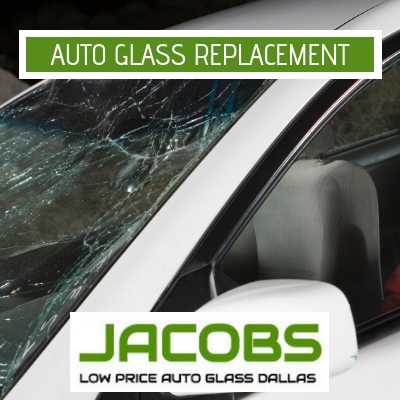 And as well all know, auto glass replacement is far more labor intensive and expensive than a chip repair. Fortunately, there are some auto glass replacement stores that provide mobile windshield repair and replacement services. That means instead of taking time off work or having to squeeze the task into your busy schedule, the repair service comes to you. This service can come to either your office or home, thus allowing you to continue with your tasks as the technician repairs or replaces your glass. Nothing is more ideal than having your windshield in excellent condition without disrupting your busy schedule. Mobile auto glass repair is also great for people that operate heavy machinery or construction vehicles. The technicians will come to your site and repair or replace the damaged glass quickly, efficiently and in a professional manner. The quick response enables you to get your vehicle back to work with minimal downtime. After all, if your vehicles are out of order, you are only losing money. Not just that, but these mobile services eliminate the issue of having to transport your vehicles to another location which could be daunting and time wasting. Mobile auto window repair and replacement services are ideally available for RVs and semi-trucks. The windows on these cars are particularly essential for maintaining clear vision on the road. Repairing any damage is imperative to be able to operate these types of vehicles in a safe manner. These services will come to your location so that you can get your big rig back on the road. Also, there are situations where your auto glass or windshield is damaged to the extent that it becomes dangerous to operate the vehicle. For instance, when a big tree limb has shattered the windshield, or your car has been broken into by smashing the window. In such cases, mobile auto glass replacement or repair is a safer option to driving to the auto shop. Keep in mind that mobile auto window repair services come at an extra charge. As such, it is important that you know the actual price before allowing the technicians to work on your car. This will prevent ant surprised when you are presented with the final bill.